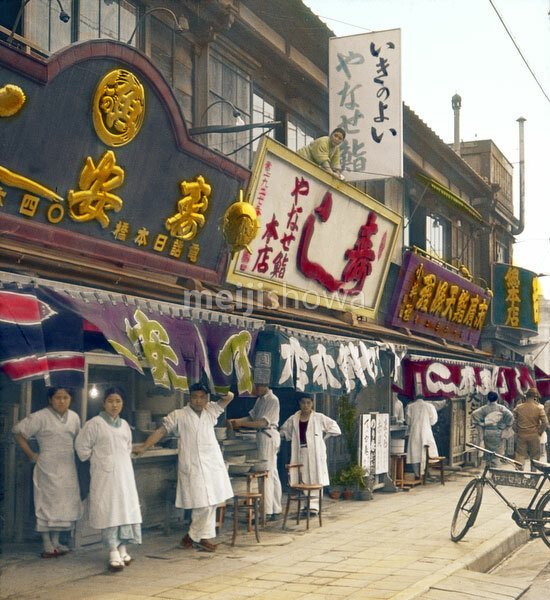 Employees pose in front of Tokyo sidewalk restaurants on a sunny day in May, 1934. The delivery bicycle belongs to Yanase Sushi (the shop with the white sign with red kanji). See blog entry.